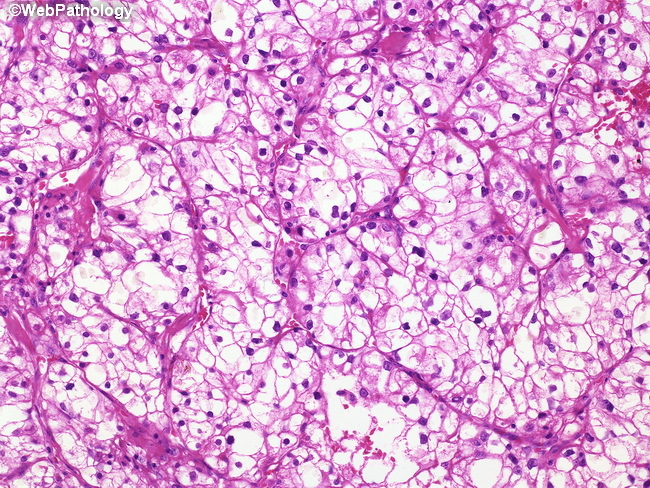 At medium to high magnification uniform, optically clear cells are appreciated in this example of clear cell renal cell carcinoma. These cells are clear due to the abundance of intracytoplasmic lipid as well as glycogen. Careful inspection reveals many of the cells lack nuclei in this plane of section, demonstrating the great volume of the cells.